These pianos once made music. Now they're abandoned, broken and incapable of producing a tune. But as these stunning pictures show, they are still completely beautiful instruments. 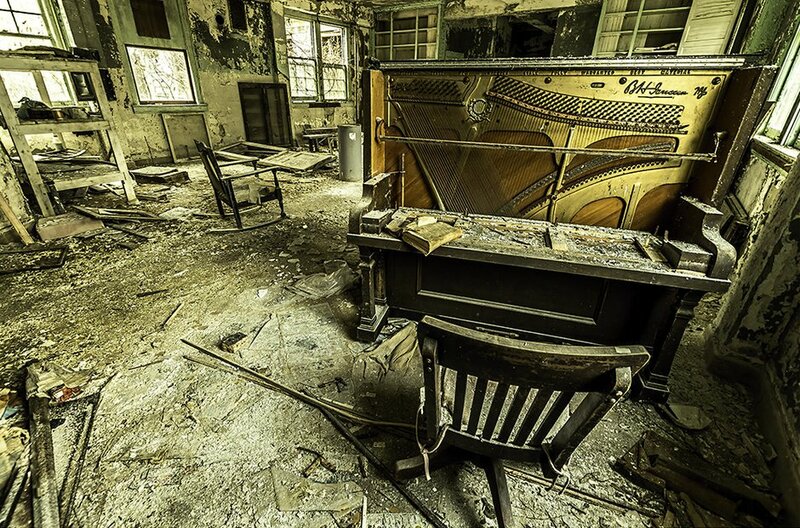 A broken piano in an abandoned community living facility. Well, you wouldn't want it to escape. This dusty little number was found in a barn on some farm land. This piano looks like it could've been on the Titanic. This piano currently resides in Laws Railroad Museum, Sierra Nevada. Lying among the sage brush in Wyoming. Found in the basement of City Methodist Church in Gary, Indiana.